Excellent 3 bedroom unit has a DIRECT and fantastic view of Little Lagoon. Facing due North with a huge balcony on the Lagoon side wrapping around the length of the condo. Concrete pilings. 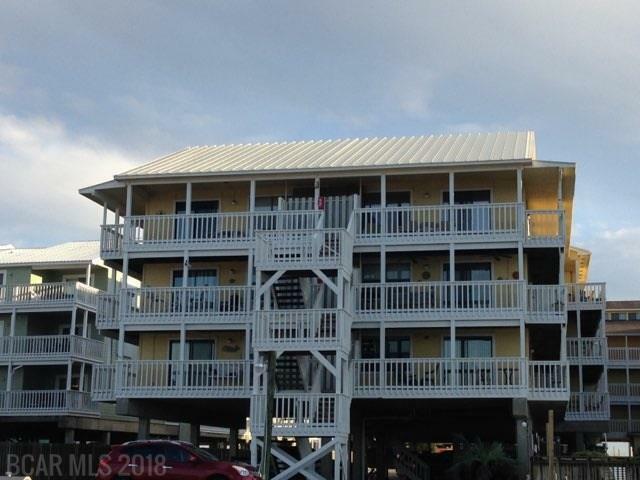 Low density complex offers a boat launch, boat pier, fish cleaning station, large pool and deeded beach access. This place has it all! Condo complex has gulf access. Huge balcony wraparound is 4'x47' and Lagoon Front balcony section approx 8'x23'. Condo is not a rental but would be a good one. Currently used as a 2nd home.